BRYAN EATON/Staff photo. 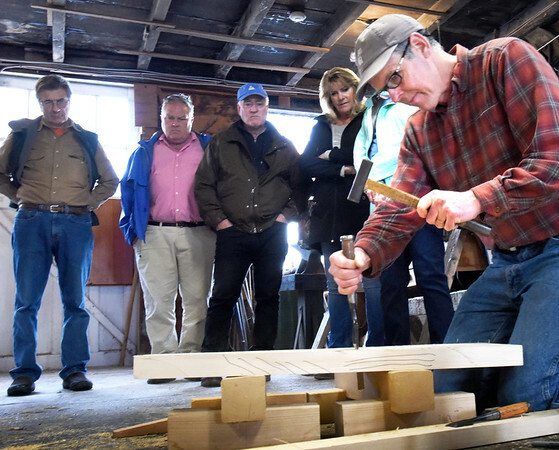 Douglas Brooks uses Japanese chisels as he gives a demonstration of that country's boat building at Lowell's Boat Shop in Amesbury on Wednesday afternoon. The author's demonstration and book signing was part the organization's Speaker Series.